eGG | What is Next-gen Gaming? New Games, Consoles, & Nvidia GPUs? What is Next-gen Gaming? New Games, Consoles, & Nvidia GPUs? Does 'next-gen' actually mean anything or is all just marketing? < All news / What is Next-gen Gaming? New Games, Consoles, & Nvidia GPUs? Next-generation. Every year we hear the term 'next-gen gaming', but what does that mean? 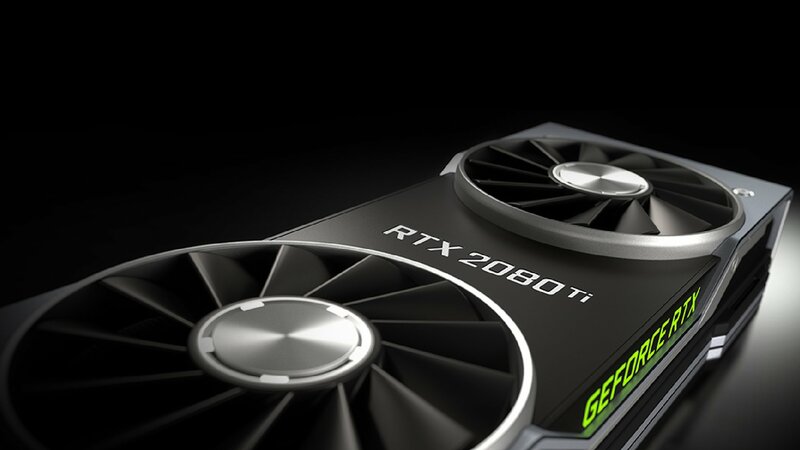 Recently, Nvidia has shown off their latest 20XX series of gaming graphics cards with all new ray tracing technology. Virtual and augmented reality are becoming more common. 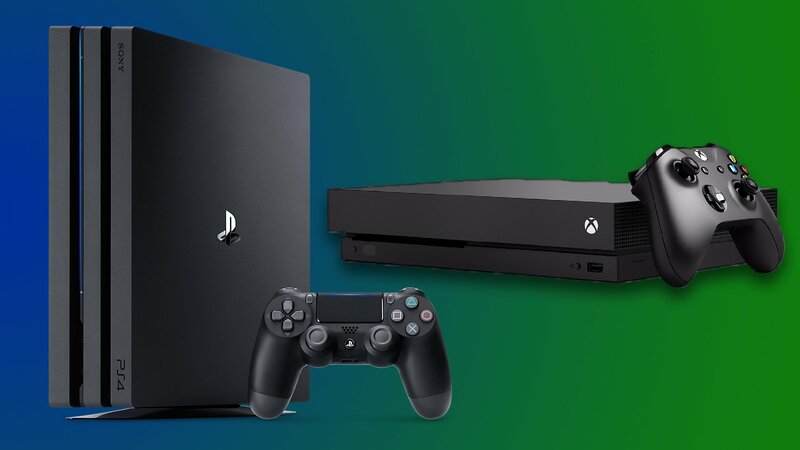 Rumours of new consoles have also been circulating as the PS4 and Xbox One are both approaching half a decade old now and it wouldn't be unreasonable to expect them around the year 2020 (which is less than 2 years away, feel old yet?). Does any of this make anything 'next-gen' though or is it just a big old marketing term aimed at hyping you up so you will spend more money? In this article we'll have a look at all the different kind of 'next-gen' and how it can mean very different things. Nvidia, AMD, etc. releasing new graphics card (GPU) generations, allowing PC gaming to push further boundaries in gaming. Does it ever really change all that much or do we just get those sweet 4K textures and puddle reflections? Here 'next-gen' just means a number up—the GTX1080 to RTX2080 is a generation up, but 'generation' here doesn't mean too much really. Being a newer generation of GPU might be have the ability to do something new, but it won't necessarily be better value for money, that games can take advantage of it, or even be more powerful. For example, a GTX980 is considered superior to a GTX1050, even though the 1050 is a newer gen. From this perspective, 'next-gen' really just means 'a little bit better graphics', which is a totally fine way of using the term but it seems a little underwhelming. Console Generations & The Last of Them? Sony has been indicating that the PS4 is in its final phases and talk of the PS5 coming out in 2 or 3 years has begun. Console generations are a little more clear-cut compared to graphics cards as they tend to only come once every 6 or 7 years, but again, it's pretty much just a hardware upgrade. Microsoft usually responds to a new PlayStation generation with a new Xbox but in recent years they've been moving away from the console exclusive approach and integrated Xbox gaming with Windows 10, even saying there will never be another Xbox exclusive game, just Xbox AND Windows 10 exclusives. It's a mystery right now if there will be an 'Xbox Two' of some kind or will Microsoft give up on consoles altogether and stick to Windows devices? Or maybe even a Windows 10 console? That's starting to sound a bit more 'next-gen' and interesting at least. Perhaps this is going to be the last generation of consoles? No more Xbox or Playstation as we know it and we all move over to streaming services and total cloud computing. If you think about consoles lasting 7 years to a decade and if the PS5 releases around 2020, we're talking about the year 2027 onwards! We could have all sorts of crazy technology by then! Maybe that's a good meaning of 'next-gen'? Yes, of course Ubisoft would write an article on how their own game is 'next-gen'. 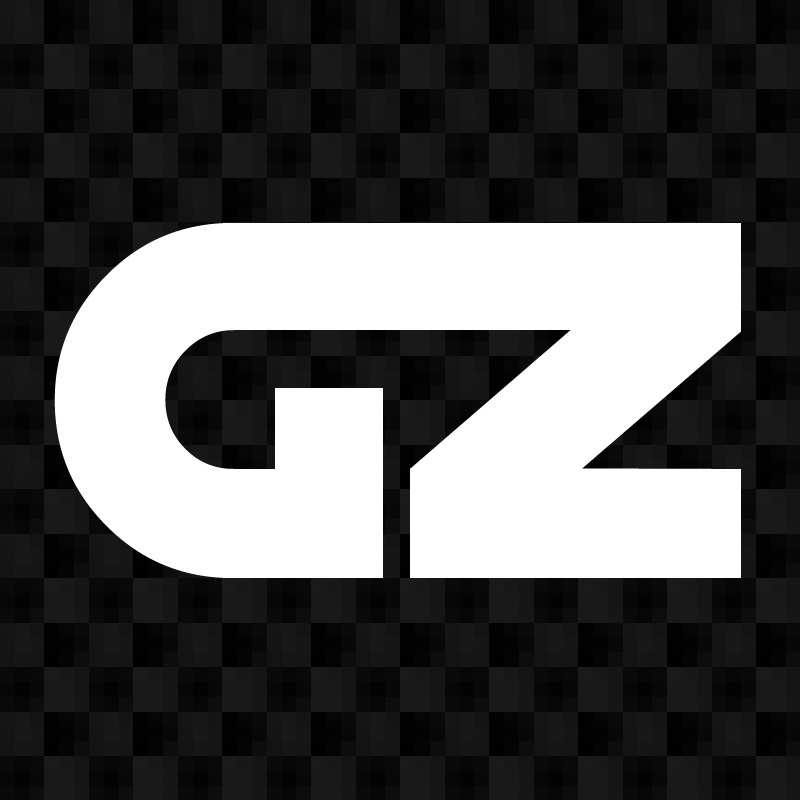 When it comes to 'next-gen' in gaming, it's often used as a simple marketing tool in the gaming industry. If the term isn't being used to describe something factual for a game then it's most likely a buzzword trying to get you excited. 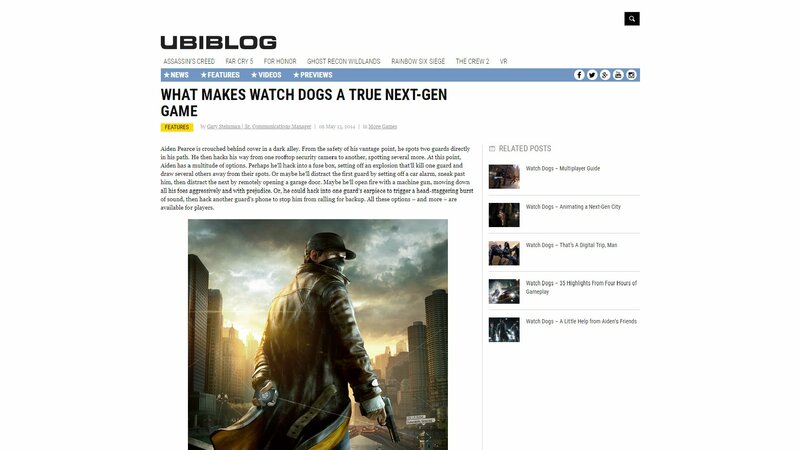 The game Watch Dogs was called next-gen and turned out to be a downgraded mess, despite Ubisoft's efforts to convince us otherwise. Turns out that the worse a game is turning out the more some game companies try to push it with marketing to compensate. This video shows off how well the whole 'next-gen' thing panned out for Watch Dogs and served as a lesson to all of us about how far marketing can push things that aren't true. That article Ubisoft article was written just 2 weeks before the game released by the way, they must've known it simply wasn't true. Here's Bethesda using the ever popular 'next-gen' line to get you hyped but what does that even mean? That the game will release for the PS5? That it'll need a GTX2080 to play at maximum graphics? Will it be VR compatible? If yes to any or all of those, does that really make it a 'next-gen' game? That's up to you to decide since the meaning of 'next-gen' is subjective. It could still be a great game and we probably won't end up with another 'Watch Dogs incident' but right now it's still looking like a generic marketing term. Some developers have caught on to this line of thinking and avoid the term completely even when in the past it would've been almost perfect to use it. CD Projekt Red's upcoming game, Cyberpunk 2077, is set in the future, looks graphically impressive, and could be releasing on next-gen consoles, but in a huge 48 minute narrated gameplay demo video you'd be hardpressed to find the words 'next-gen' being mentioned. Unlike the days of old, 'gaming' is no longer necessarily the act of playing video games. Spectator gaming has made esports a massive industry and now there are tons of people who don't even play video games and just watch others on YouTube, Twitch, or at tournaments. Speaking of Twitch, have you seen 'Twitch Plays'? A game is streamed and viewers on Twitch can type commands in chat to control the game, sort of crowdsourcing the actual playing of the game, most notably in streams such as Twitch Plays Pokémon. Maybe this whole 'next-gen' thing is really about us? About how we enjoy video games as an activity and as part of our culture, not really to do with the hardware or technology of it. As you can see, 'next-gen' can mean pretty much anything in the gaming industry nowadays. Usually, it's nothing to be too hyped about, just a small step forward from what we already have and sometimes it's a nonsense buzzword to try and sell you something that doesn't exist. The over-usage of the term has made me immune to its affects though; I've seen 'next-gen' written out and said so many times that instead of impressing me it just fills me with suspicion. I think it's time to move away from the term and start actually saying some facts. In today's gaming industry, I'd recommend treading carefully the next time you see or hear 'next-gen' and to investigate what they're actually putting on offer behind the buzzword. At the end of the day though, what 'next-gen' means is up to your own interpretation and understanding of the term, so what does it mean to you? What does 'next-gen' gaming mean to you & what are you looking forward to in the future? Let us know in the comments!